As an individual, order your Psychometric Test and Report using a credit card, please contact us by phone directly on 01469 533907- it’s simple! There are a number of different psychometric reports and combinations of reports that can be produced, depending on what you want to use the information for. We can discuss this with you in order to ensure that you have the correct report printed. As an example, report summaries are available below together with a PDF file example report for downloading. Executive Summary: This psychometric report is for the busy manager or recruiter who is familiar with the Thomas DISC system. It is designed to highlight the essential elements of an individual’s behavioural profile. The content is precise and to the point and the most important areas that require further discussion and probing are included. The Human Job Analysis (HJA): The HJA or job profiler is a unique questionnaire that should be completed with the input of at least two people who are familiar with the role under review. It contains 24 standard competencies that can be related to any position. The unique aspect of the HJA is that each competency is validated to represent a specific behaviour. that is measured by the Personal Profile Analysis. This enables a company to develop and rank each competency for its relevance in a particular position. Once a job has been rated and the results have been quickly validated by comparison to successful performers a benchmark of success criteria is established. This benchmark becomes the objective standard against which people in the role or those interested in the role can be compared. Admin/Tech Skills Audit: This report provides a detailed insight into the individual’s administrative and technical skills proving a useful addition to the PPA for the person recruiting the individual and needing to understand how they would fit into the role and skill set required. Management Skills Audit: This report provides a detailed insight into the individual’s administrative and technical skills proving a useful addition to the PPA for the person recruiting the individual and needing to understand how they would fit into the role and skill set required. Sales Skills Audit: This report provides a detailed insight into the individual’s administrative and technical skills proving a useful addition to the PPA for the person recruiting the individual and needing to understand how they would fit into the role and skill set required. Team Audit: This new system combines Thomas International’s expertise in Professor Marston’s DISC model with “Role Fit Theory”. The combined insights from both measures provide a basis for building and developing great teams and maximising organisational performance. The system has its own questionnaire that develops ideal team goals and objectives. Team members are then selected, evaluated and compared to the team goals. A simple yet detailed report, with useful graphics, is then produced to describe a variety of team issues. General Interview Questionnaire: This psychometric report produces a generic set of interview questions in conjunction with a review of the candidate’s profile. It is designed for use in any role. Management Interview Questionnaire: This is a detailed written series of behaviour-based questions designed for use in identifying management capability in a candidate. Each report is automatically customised to the person you are assessing and it is recommended that this format be used in the initial interview. To go to a deeper level of understanding we recommend that you use several of the other reports to round out your assessment process. Sales Interview Questionnaire: Specifically geared for sales professionals this questionnaire will provide the insights needed to determine if a person has what it takes to sell your product or service. The report will also provide an opinion on a person’s sales compatibility. Candidate Feedback Report: If you only require a brief one or two page analysis that you intend to provide to a prospective candidate, this is the ideal cost beneficial choice. Very often in recruitment or a review process the person asks you if they can see their results. Due to cost and other factors this is not always possible. For this reason we have created a summary report specifically for the person to take away with them should you wish to provide this to them. The report describes the work strengths and key motivators of the individual. Career Guidelines: This guide provides a summary of peoples key behaviours, motivation and job emphasis and then lists specific functions and job types that would be compatible with their behaviour. For the person considering a new career opportunity, or if you are new to the job market, this is a useful guide. A “How to Manage” Guide: It is always useful to have a strategic idea of how to manage a person. This guide is customised to reflect the unique strategies that are needed to effectively manage the person you have profiled. The guide is broken down into eight easy to read areas and if followed diligently will produce outstanding results. It is an essential report in helping manage people, teams, peer-to-peer relationships and any one-on-one interactions. Job Compatibility: This is a brief psychometric report that compares a person to your Job Benchmark. It will not provide “Hire”, “don’t Hire” opinions but rather a description of the areas of fit and the areas that may present challenges. It is Thomas International’s position that any information we provide be used as part of a process and not in isolation as the definitive decision making piece. The combined use of the PPA with the HJA provides a useful objective element in the assessment of an individual€™s fit to a job. In this way, these two instruments assist in the observance of Equal Opportunities regulations. 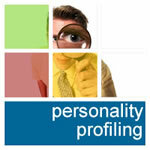 Person-to-Person Compatibility Assessment: Wow!!! The analysis we have all been waiting for. Imagine getting a factual analysis on how you relate to a friend, boss, co-worker or direct report. This brand new product compares the unique behaviours of two people and reports on areas of compatibility and on those areas that need working on. The analysis also gives you a series of helpful tips and techniques when interacting with the other person. Do you want to take your relationship to new heights? Are you tired of the same old power struggle? Do you want a deeper insight into what makes this relationship work so well? This is a must use if you are serious about building trust and effective relationships in and out of work. Strengths and Limitations Summary: This psychometric report summarises a person’s positive behavioural traits as well as the value they can contribute to an organisation. It also includes a description of the possible challenges or shortcomings of their style. This is a very useful summary particularly when used in the context of comparing oneself to a job requirement or specific role. Training Needs Analysis Report: What Training Needs do I have? How can I enhance my natural work strengths? What can I do to make sure that a weakness does not get in the way of my success? This detailed report makes training recommendations that answer these questions. A must for the person that seeks to continuously develop and grow. If you are responsible for training in your company this analysis is invaluable in maximising your training budget per person on courses that will actually have the most impact for the individual.